An gaming anti-discrimination education tool, aimed at young people aged 11-16. The tool has been created to educate young people about diversity in sport, the nature of discrimination and the need for discrimination to be challenged. The game features a character having to avoid obstacles on a pitch. Biographies of some members of the crowd reveal them to be prejudiced in a number of different ways. The game therefore seeks to highlight how the behaviour of fans impacts on the performance and experiences of others. The game launched in March 2013 as a pre-release. The official launch of the Game was on May 17, 2013 – on the International Day Against Homophobia and Transphobia (IDAHO). 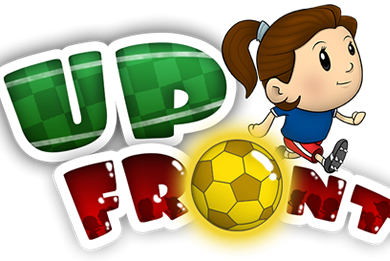 Upfront can be downloaded an any Android device free of charge from Google Play (former Android Market). You can get more info about it at the official site of the game at www.upfront.mobi.